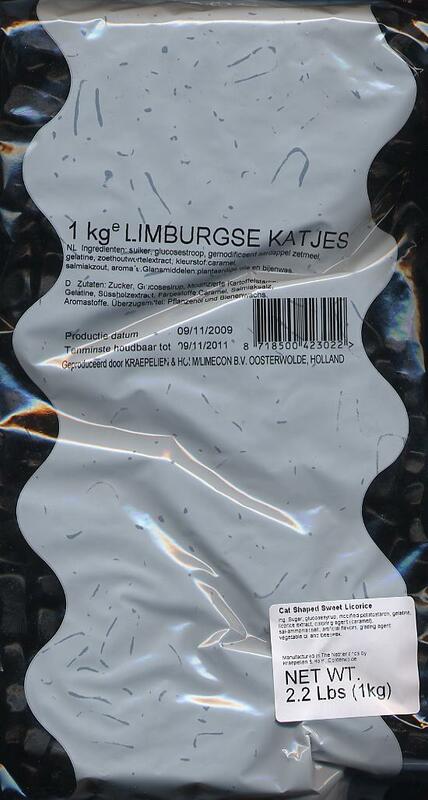 K&H Limburgse Katjes-- Cat Shaped Sweet Licorice 1kg - Licorice - The Dutch Shop LLC your store for Dutch groceries. 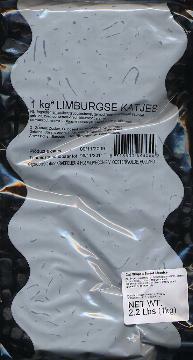 K&H Limburgse Katjes-- Cat Shaped Sweet Licorice 1kg. Ingredients: Sugar, glucose syrup, modified starch, gelatin, caramel coloring, licorice extract, ammonium chloride, artificial flavor, glazing agent (vegetable oil and beeswax).